﻿• ﻿Designated ﻿Historic ﻿Districts: ﻿We ﻿will ﻿point ﻿out ﻿many ﻿of ﻿the ﻿different ﻿registered, ﻿historic ﻿neighborhoods ﻿surrounding ﻿the ﻿downtown ﻿Palm ﻿Springs ﻿area. ﻿• ﻿The ﻿Famous ﻿Palm ﻿Springs ﻿Walk ﻿Of ﻿Stars: ﻿We ﻿will ﻿point ﻿out ﻿the ﻿many ﻿inlaid ﻿sidewalk ﻿stars ﻿honoring ﻿the ﻿international ﻿and ﻿local ﻿celebrities ﻿who ﻿have ﻿made ﻿their ﻿mark ﻿in ﻿Palm ﻿Springs. ﻿• ﻿Palm ﻿Springs ﻿Talked ﻿About ﻿Landmarks: ﻿The ﻿Art ﻿and ﻿Air ﻿Museums, ﻿the ﻿Plaza ﻿Theater, ﻿the ﻿Indian ﻿and ﻿Tahquitz ﻿Canyons, ﻿the ﻿Aerial ﻿Tramway, ﻿historic ﻿inns, ﻿wind ﻿farms, ﻿the ﻿San ﻿Andreas ﻿Fault ﻿Line, ﻿and ﻿more. ﻿• ﻿The ﻿Historic ﻿Indian ﻿Canyons: ﻿Learn ﻿how ﻿the ﻿Cahuilla ﻿Indians ﻿lived, ﻿survived, ﻿and ﻿thrived ﻿for ﻿over ﻿3,000 ﻿years. ﻿SOME ﻿HOMES ﻿YOU ﻿MAY ﻿SEE: ﻿Leonardo ﻿DiCaprio ﻿• ﻿Kenny ﻿Rogers ﻿• ﻿Dinah ﻿Shore ﻿• ﻿Kirk ﻿Douglas ﻿• Liberace ﻿• ﻿Debbie ﻿Reynolds ﻿• ﻿Sammy ﻿Davis ﻿Jr. ﻿• Goldie ﻿Hawn ﻿& ﻿Kurt ﻿Russell ﻿• ﻿Linda ﻿Carter ﻿• ﻿Elvis ﻿Presley ﻿• Marilyn ﻿Monroe ﻿• ﻿Lucille ﻿Ball ﻿• ﻿Frank ﻿Sinatra ﻿• ﻿Dean ﻿Martin ﻿and ﻿more. ﻿• ﻿ ﻿2 ﻿Person ﻿Minimum ﻿• ﻿Approx. ﻿1.5 ﻿to ﻿2.5 ﻿hrs. ﻿ *When ﻿available, ﻿may ﻿or ﻿may ﻿not ﻿use ﻿a ﻿substitution. ﻿† ﻿Not ﻿responsible ﻿for ﻿the ﻿closing ﻿of ﻿the ﻿above ﻿mentioned ﻿properties ﻿due ﻿to ﻿events, ﻿season, ﻿foreclosures ﻿or ﻿any ﻿acts ﻿of ﻿God. 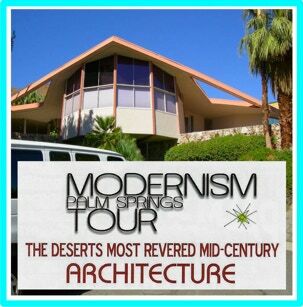 ﻿This ﻿fun ﻿and ﻿exciting ﻿Modernism ﻿Tour ﻿of ﻿Palm ﻿Springs ﻿takes ﻿you ﻿places ﻿where ﻿a ﻿double ﻿decker ﻿bus ﻿can&apos;t possibly go. ﻿Your ﻿enclosed ﻿air-conditioned ﻿Mercedes-Benz ﻿coach ﻿will ﻿keep ﻿you ﻿comfortable ﻿as ﻿you ﻿take ﻿an ﻿in-depth ﻿look ﻿into ﻿the architects ﻿visual ﻿expression ﻿that ﻿made ﻿Palm ﻿Springs ﻿world ﻿famous. ﻿Designated ﻿Historic ﻿Districts: ﻿You ﻿will ﻿be ﻿seeing ﻿many ﻿of ﻿the ﻿different ﻿registered, ﻿historic ﻿neighborhoods ﻿surrounding ﻿the ﻿downtown ﻿Palm ﻿Springs ﻿area. ﻿The ﻿Famous ﻿Palm ﻿Springs ﻿Walk ﻿Of ﻿Stars: ﻿We ﻿will ﻿point ﻿out ﻿the ﻿many ﻿inlaid ﻿sidewalk ﻿stars ﻿honoring ﻿the ﻿international ﻿and ﻿local ﻿celebrities ﻿who ﻿have ﻿made ﻿their ﻿mark ﻿in ﻿Palm ﻿Springs. ﻿Palm ﻿Springs ﻿Talked ﻿About ﻿Landmarks: ﻿The ﻿Art ﻿and ﻿Air ﻿Museums, ﻿the ﻿Plaza ﻿Theater, ﻿the ﻿Indian ﻿and ﻿Tahquitz ﻿Canyons, ﻿the ﻿Aerial ﻿Tramway, ﻿historic ﻿inns, ﻿wind ﻿farms, ﻿the ﻿San ﻿Andreas ﻿Fault ﻿Line, ﻿and ﻿more. ﻿• ﻿ ﻿Approx: ﻿1.5 ﻿to ﻿2.5 ﻿hrs..
﻿* ﻿When ﻿available, ﻿may ﻿or ﻿may ﻿not ﻿use ﻿a ﻿substitution. ﻿† ﻿Not ﻿responsible ﻿for ﻿the ﻿closing ﻿of ﻿the ﻿above ﻿mentioned ﻿properties ﻿due ﻿to ﻿events, ﻿season, ﻿foreclosures ﻿or ﻿any ﻿acts ﻿of ﻿God. 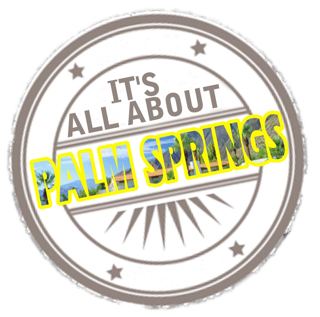 ﻿This ﻿Original ﻿"IT&apos;S ﻿ALL ﻿ABOUT ﻿PALM ﻿SPRINGS ﻿TOUR" ﻿is ﻿the ﻿icing ﻿on ﻿the ﻿cake ﻿of ﻿all ﻿tours ﻿in ﻿Palm ﻿Springs. ﻿This ﻿fun ﻿tour ﻿will ﻿provide ﻿the ﻿most ﻿comprehensive ﻿and ﻿accurate ﻿narrated ﻿tour ﻿of ﻿Palm ﻿Springs ﻿that ﻿only ﻿the ﻿AWARD ﻿WINNING ﻿GUIDES ﻿of ﻿Five ﻿Star ﻿Adventures ﻿Tours ﻿can ﻿give. ﻿You&apos;ll ﻿see ﻿the ﻿playground ﻿of ﻿Frank ﻿Sinatra, ﻿Elvis ﻿Presley, ﻿Marilyn ﻿Monroe, ﻿Elizabeth ﻿Taylor, ﻿and ﻿more. ﻿Experience ﻿the ﻿historic ﻿architectural ﻿background ﻿that ﻿made ﻿Palm ﻿Springs ﻿famous. ﻿This ﻿"MID-CENTURY ﻿/MOVIE ﻿STAR ﻿HOME ﻿COMBO ﻿TOUR" ﻿will ﻿provide ﻿the ﻿most ﻿comprehensive ﻿narrated ﻿tour, ﻿one ﻿that ﻿only ﻿the ﻿AWARD ﻿WINNING ﻿GUIDES ﻿of ﻿Five ﻿Star ﻿Adventures ﻿Tours ﻿can ﻿offer. ﻿• ﻿Designated ﻿Historic ﻿Districts: ﻿You ﻿may ﻿seeing ﻿many ﻿of ﻿the ﻿different ﻿registered, ﻿historic ﻿neighborhoods ﻿surrounding ﻿the ﻿downtown ﻿Palm ﻿Springs ﻿area. ﻿Palm ﻿Springs ﻿Talked ﻿About ﻿Landmarks ﻿:The ﻿Art ﻿and ﻿Air ﻿Museums, ﻿the ﻿Plaza ﻿Theater, ﻿the ﻿Indian ﻿and ﻿Tahquitz ﻿Canyons, ﻿the ﻿Aerial ﻿Tramway, ﻿historic ﻿inns, ﻿wind ﻿farms, ﻿the ﻿San ﻿Andreas ﻿Fault ﻿Line, ﻿and ﻿more. And receive your official MODS & ICON T-Shirt just for joining! ﻿This ﻿is ﻿a ﻿shorter ﻿version ﻿of ﻿tour ﻿#1, ﻿LEGENDS ﻿& ﻿ICONS ﻿TOUR ﻿for ﻿those ﻿with ﻿a ﻿limited ﻿amount ﻿of ﻿time ﻿and ﻿want ﻿to ﻿have ﻿a ﻿quick ﻿insight ﻿of ﻿this ﻿amazing ﻿place ﻿called ﻿Palm ﻿Springs ﻿and ﻿still ﻿show ﻿you ﻿more ﻿than ﻿the ﻿other ﻿company. ﻿•About ﻿30 ﻿homes ﻿owned ﻿by ﻿the ﻿rich ﻿and ﻿famous ﻿from ﻿the ﻿past ﻿to ﻿the ﻿present. ﻿•You’ll ﻿Travel ﻿through ﻿”Little ﻿Hollywood ﻿and ﻿” ﻿The ﻿Glamorous ﻿"Movie ﻿Colony" ﻿. ﻿•The ﻿Famous ﻿Walk ﻿Of ﻿Stars: ﻿We ﻿will ﻿point ﻿out ﻿many ﻿inlaid ﻿sidewalk ﻿stars ﻿honoring ﻿the ﻿international ﻿and ﻿local ﻿celebrities ﻿who ﻿have ﻿made ﻿their ﻿mark ﻿in ﻿Palm ﻿Springs. ﻿• ﻿Palm ﻿Springs ﻿Talked ﻿About ﻿Landmarks: ﻿The ﻿Art ﻿and ﻿Air ﻿Museums, ﻿the ﻿Plaza ﻿Theater, ﻿the ﻿Indian ﻿and ﻿Tahquitz ﻿Canyons, ﻿the ﻿Aerial ﻿Tramway, ﻿the ﻿San ﻿Andreas ﻿Fault ﻿Line ﻿and ﻿more. ﻿Tour ﻿books ﻿up ﻿quickly ﻿so ﻿get ﻿your ﻿tickets ﻿now. ﻿Five ﻿Star ﻿Adventures ﻿Tours ﻿invites ﻿you ﻿to ﻿join ﻿"THE ﻿MOB ﻿& ﻿MOVIE ﻿STAR ﻿EXPERIENCE." 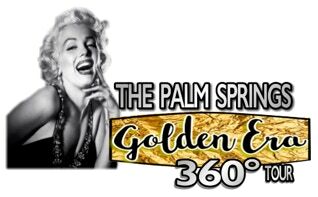 ﻿Have ﻿food ﻿& ﻿drinks ﻿at ﻿locations ﻿where ﻿mobsters ﻿& ﻿movie ﻿stars ﻿from ﻿the ﻿past ﻿and ﻿present ﻿hang ﻿out ﻿in ﻿Palm ﻿Springs. ﻿Call ﻿1-760-200-9483 ﻿ ﻿for ﻿reservations.